If you totaled the amount of time you spend in traffic during the year, you might barf. While it may not be as depressing as the hours we spend on the porcelain throne, where you live has an effect on how long you spend on the road. 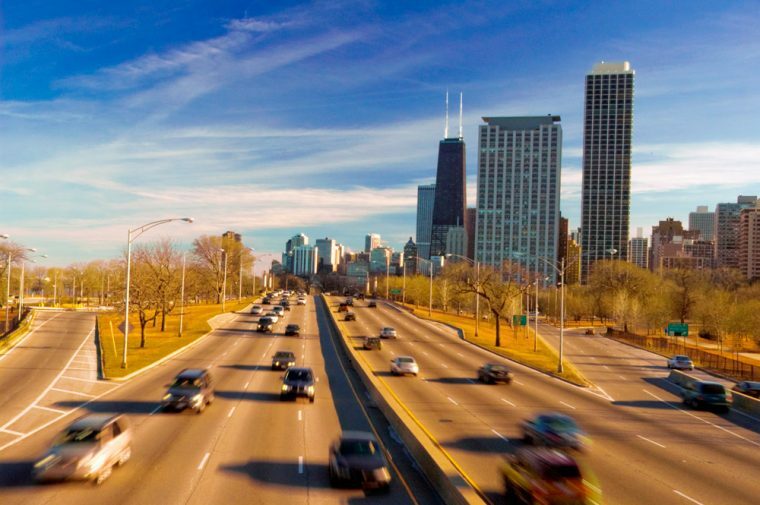 Inrix, a mobile statistics company, published a traffic data study that identified which places were the worst cities to drive. This report — which covers six continents, 38 countries, and over 200 cities — measured its rankings on hours and money lost due to time in traffic at peak moments in daily commutes. On average, a U.S. citizen lost 97 hours due to driving in 2018, which roughly sets drivers back $1,348. In 2018, Inrix found that Boston, Washington D.C., Chicago, New York City, and Los Angeles left much to be desired in U.S. commutes. Boston drivers lost 164 hours, while D.C. commuters misplaced 155. Chicago and New York City followed with hours lost in the 130s. While it previously was the busiest city, L.A. feel to number five with 128 hours lost. While these stats may seem alarming, America has got nothing on other countries. Boston ranks 26th in the world. Bogata drivers spent 272 hours in traffic, Rome drivers lost 254 hours, and Dublin wasted 246 hours. The lone positive for us in the U.S. is that we spend less time on the roads than other countries. Consider this thought next time you sit in a traffic jam on the highway. Those looking to relocate may try Witchita, KS, as average commuters there only lost 22 hours in 2018. John Baden is known for his creativity, humor, and charm. Since writing books during his childhood, he has written for newspapers, radio and TV stations, and online publications. In his free time, he enjoys playing the piano, watching Chicago Cubs baseball, and experiencing the outdoors. For John, a perfect day is summed up in a morning cup of coffee, an afternoon run in the sun, and an evening spent in an exciting chapter of a good book. See more articles by John.